You may be thinking “how in the world is she going to write an entire blog post dedicated to gutters? I mean I never even THINK about my gutters!” This is precisely WHY I’m choosing to write this post. 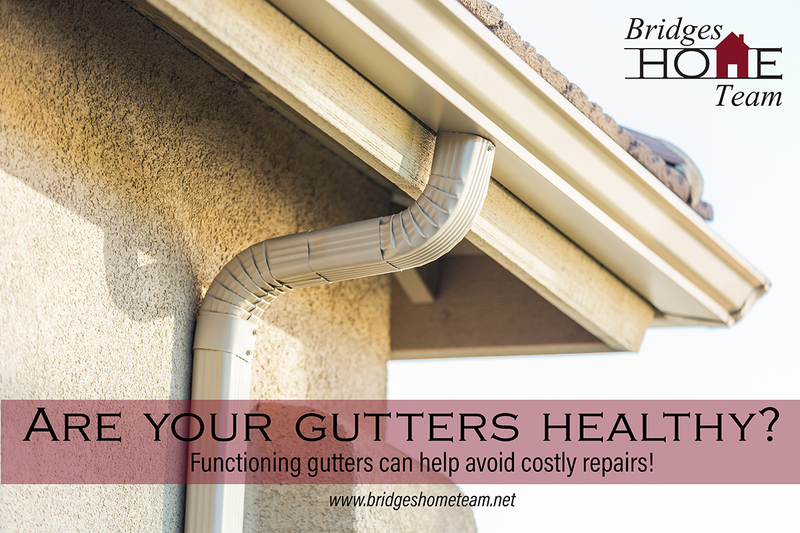 My husband, Benard (a General Contractor and fellow Bridges Home Team member) had a client recently who’s gutters were in very bad shape. Combine that with the intense thunderstorms we get here in Georgia during the summer and it is a recipe for some VERY COSTLY repairs. It may still be hot here but the leaves have already started coming down as we near Fall. This means lots of raking or blowing or however you choose to deal with them at your house. It also means something else – CLOGGED GUTTERS. Ugh, I know. No one likes to clean gutters. It’s really not a fun job but like many things in life, it’s necessary and should not be avoided. The integrity of your gutters is important to ensure that water is routed away from the sides of your house, your deck, your patios and most importantly – your foundation. When gutters are functioning properly, water rolls off your roof, into the gutters then down the downspouts and away from your house. If they are full of leaves, pinestraw, pinecones, sticks and the like (or if they are damaged in any way) the water that should be flowing towards the downspouts will pour out over the gutter and down the side of your house eventually settling on the ground right up against your foundation. Sometimes this can actually cause water in the basement. This happened to us once…our gutters got too full and we ended up with some water in the basement during a hard rain as a result. I know, shame on us….What can I say? We are human too. But I’ll tell you – since that day Benard is very diligent in keeping our gutters clean several times throughout the year and it’s never happened since. But what would happen if they stayed like that for months? Years maybe? This is where the costly repairs come into play. In the case of Benard’s client, the gutters on one part of her house were damaged and as a result, water was running down the side of her house for a while. It was not until she noticed water INSIDE that she even knew to investigate the problem. 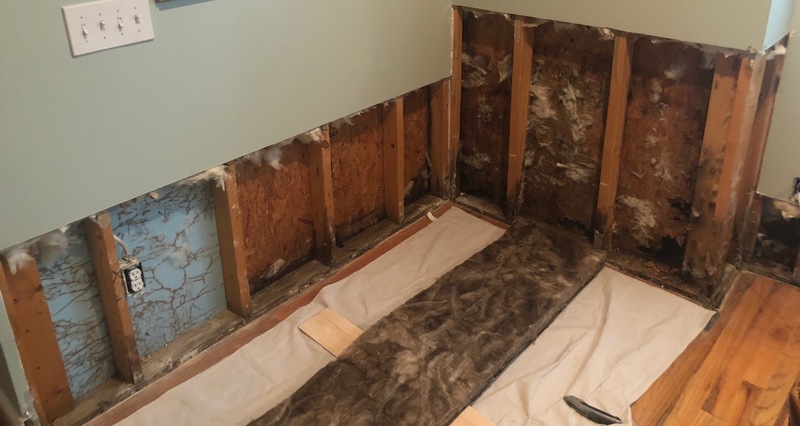 As a result, exterior siding, interior sheetrock, and insulation had to be removed and damaged portions inside of the walls had to be rebuilt. At the end of the day, everything was repaired properly but it was a major hassle and major expense for this homeowner. As we say time and time again, regular and routine home maintenance is an essential part of homeownership. This is where having a relationship with a Realtor and/or Contractor can come in handy for anyone. We are full of knowledge not just about the home selling or buying process but also about home ownership in general and we are happy to share what we know (or share information about someone who may know better than us!). I have to sell my house to buy one – how does that work?